The index opened huge gap-up on the back of 25 bps interest rate reduction by the RBI governor and went on to scale 8500 making a high of 8527.10 but closed just below at 8494.15, huge-huge gain of 216.60 points. The broader market was also strong, with 986 advances to 561 declines. 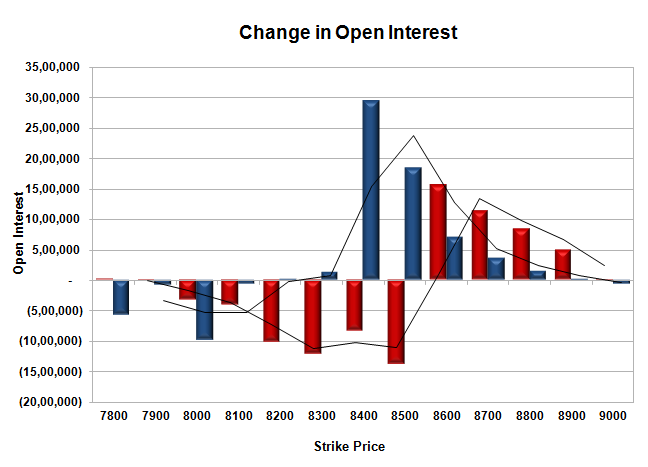 The broader range as per OI Table is 8100-8700. Call option 8600-8900 added huge 40.35 lacs OI with short covering seen at 8500 and lower strike prices. Put option 8800-8300 added huge 61.20 lacs OI with profit booking seen at 8100 and below strike prices. 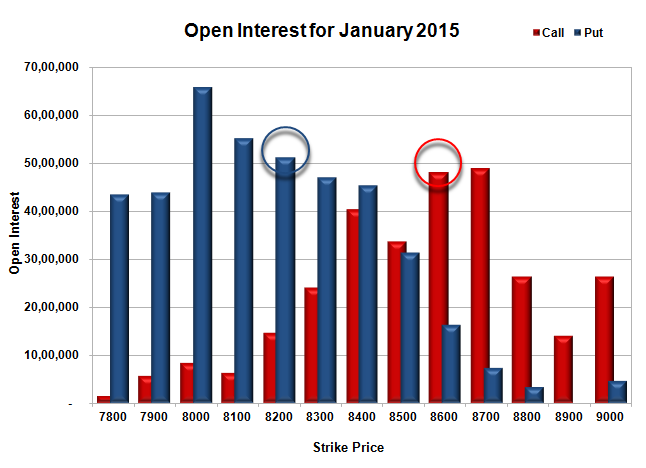 Nifty Open Interest is at 2,06,45,950 up by 30,68,375, with increase in price, most probably huge long build-up. Bank Nifty Open Interest is at 21,05,875 down by 87,350, with increase in price, most probably huge short covering. FII’s bought huge 42.42 lacs Futures, which includes 156948 contracts long build-up and 12717 contracts short covering, with increase in net OI by 144231 contracts (includes 276700 longs to 107035 shorts for the day) and the Average Price comes to 8773.72. FII’s Index future open contract as on date is 640572 Longs to 97602 Shorts, net long 542970 up by 169665 contracts. Initial support at 8400, with huge OI addition of 29.42 lacs for the day and below that at 8300 with OI of 46.96 lacs. Initial and weak resistance at 8500, with OI of just 33.69 lacs and above that at 8600 with OI of 48.17 lacs. 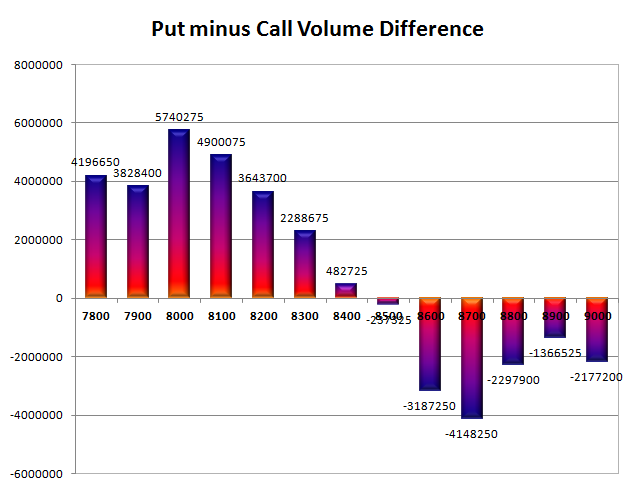 Day Range as per Option Table is 8383 - 8566 and as per VIX is 8422 - 8566 with 8467 as the Pivot.